Andrea N. Smith has over 16 years’ experience in non-profit fundraising. She began her career with a national healthcare non-profit organization and transited to working with large non-profit health systems after nine years in the industry. She has successfully managed multi-million dollar campaigns, special events, fundraising programs and special projects that have led to the creation of new trauma, cardiac and stroke centers, and other expansions and improvements to Atlanta non-profit health systems. Andrea’s commitment to healthcare and the community doesn’t end after her workday. She is a Past President and board member of the Atlanta chapter of the Healthcare Businesswomen’s Association (HBA) and former Global Chair for the HBA Leadership Institute. 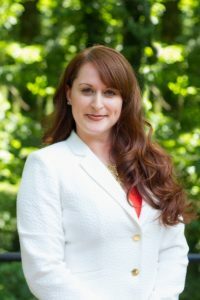 She is currently the Vice Chair for Whitefoord, Inc. board of directors, Vice President of Marketing & Communication and board member for the Junior League of Atlanta (JLA), Georgia Asylum and Immigration Network (GAIN) and member of the Associations of Fundraising Professionals and Healthcare Philanthropy. In 2013, Andrea was named one of the top 20 Influences under 40 in Tastemaker Magazine. Andrea is a graduate of Georgia College & State University in Milledgeville, Georgia. She holds a Bachelor’s Degree in Business Administration with majors in both business management and information technology. Andrea resides in Vinings.